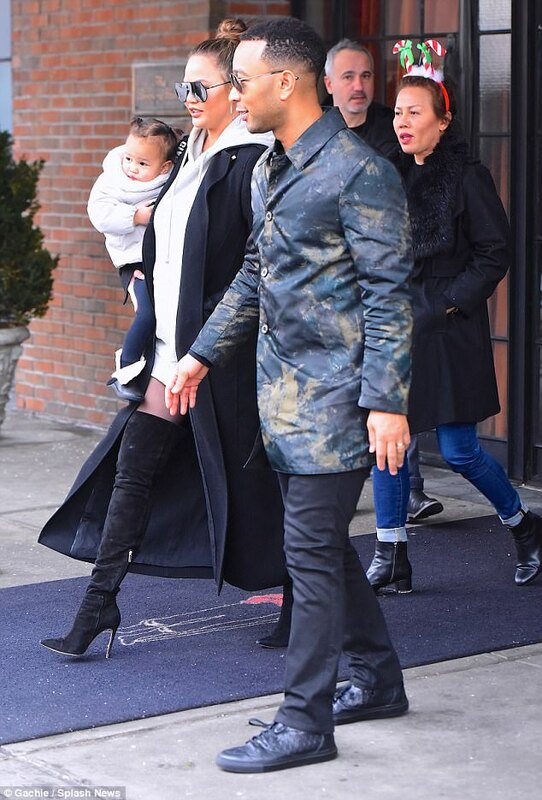 Pregnant Chrissy Teigen shows off baby bump in chic jumper dress and thigh-high boots as she joins husband John Legend and daughter Luna for family day out in NYC! She confirmed she was expecting their second child a few months back,And Chrissy Teigen displayed her blossoming bump for all to see as she stepped out for a family day out in NYC with husband John Legend and daughter Luna. The soon to be mum of 2 chose a stylish oversized jumper and thigh-high boots for the day as she headed to the Big Apple Circus in Manhattan with her family..